Biostable or biodegradable microspheres can be used as a three-dimensional environment for cell culture. Cells can be easily separated from the 3D support after culture. 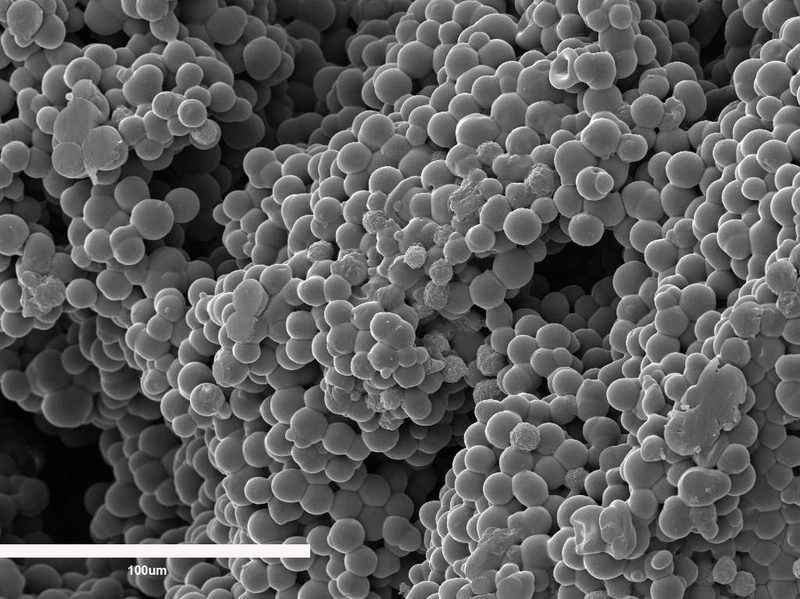 Microspheres are coated with bioactive molecules fixed to their surface by covalent bonds through flexible spacers. On the other hand the microspheres can deliver drugs or growth factors with a programmed kinetics. 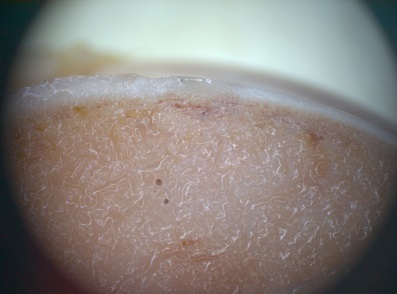 Chondrocytes cultured in a 3D environment formed by gelatin microspheres. Acrylic microspheres with or without a heparin coating. Piezoelectric microspheres containing or not magnetic nanoparticles are used for electro-mechanical stimulation of cells during culture in a 3D support. 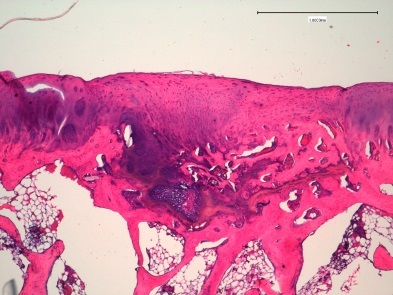 The combination of microfracture of subchondral bone and an injectable supporting material induces regeneration of articular cartilage defects in a rabbit knee model. A work in collaboration with the group of Dr. Carmen Carda in INCLIVA, Valencia.